In this Jan. 9, 2019, file photo tables sit empty during dinnertime at Rocket City Tavern near numerous federal agencies in Huntsville, Ala. Businesses that count heavily on federal employees as customers are feeling the punishing effects of the government shutdown. Michael Northern, vice president of a company that owns three restaurants in the Huntsville area including the Rocket City Tavern, said business is down 35 percent. From power restaurants in Washington and a belt-buckle maker in Colorado to a brewery in California, businesses that count heavily on federal employees as customers are feeling the punishing effects of the government shutdown. In many cases, it's forcing them to cut workers' hours and buy less from suppliers — measures that could ripple through the larger U.S. economy. "It's a fog with no end in sight," Michael Northern, vice president of a company that owns three restaurants in the Huntsville, Alabama, area near a huge Army base that houses some 70 federal agencies, including NASA. He said business is down 35 percent. "People are just going home and nesting, trying to conserve resources." Western Heritage Co. in Loveland, Colorado, which makes buckles for uniformed employees of the National Forest Service and other outdoor agencies, has seen sales plummet 85 percent this month and laid off 12 of its 13 workers. The partial government shutdown continues to squeeze small business owners, who are seeing drops in sales and cuts to employee work hours. News4's David Culver reports from northern Virginia. In the nation's capital, Clyde's Restaurant Group, which owns the Old Ebbitt Grill restaurant down the street from the White House and 10 other dining spots, reported a 20 percent drop in sales and is cutting hours for waiters and kitchen staff. So far, the broader economic impact of the shutdown is not clear — because, well, many agencies that compile such data are closed. The Labor Department, which is open, said Thursday that the number of people seeking unemployment benefits fell last week to the lowest level since 1969, a sign the job market is still strong. But most economists are forecasting slower growth in the first three months of this year. Analysts estimate gross domestic product shrinks 0.13 percentage points for each week the shutdown lasts. Those estimates reflect the loss of government spending and lost paychecks for federal employees. What is not known is how much the shutdown will reverberate through the rest of the economy. When waiters at restaurants that serve federal employees lose income, for example, will they also cut back spending? And will that then harm other companies? Among the hardest hit are the owners of restaurants, hotels and gift shops near federal agencies and national parks around the country. New Jersey Gov. Phil Murphy visited Cape May on Thursday to talk with U.S. Coast Guard members who could miss a second paycheck if the partial government shutdown continues. In Mariposa, California, just outside Yosemite National Park, tourism has dropped sharply and most of the 6,000 county residents who work in the park have not been paid for a month. "For my business personally it's been absolutely devastating," said Hanna Wackerman, co-owner of the 1850 Restaurant and Brewing Company. "Usually January is a pretty busy month for us. With the new snow being in Yosemite, that tends to bring new tourists to the park." Instead, business is down 80 percent, she said. Mike Lynch, owner of Western Heritage, saw online orders collapse almost immediately after the government shut down Dec. 22. The company sells buckles, keychains, commemorative coins and badges to employees of the Fish and Wildlife Service, the Forest Service, the Bureau of Land Management and other agencies. It also sells patches and some clothing. Most of the purchases are discretionary and customized. For example, if a BLM employee is retiring, co-workers might order a plaque from Lynch's company. 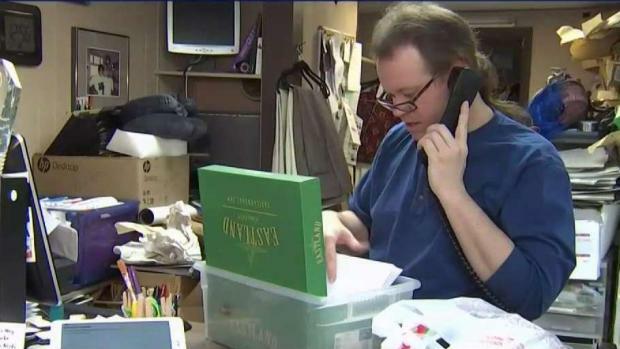 His online orders went from thousands of dollars a week before Christmas to just $78 in the first week of January. On Jan. 7, Lynch laid off nearly everyone, leaving one person to answer the phone "in case someone wants to buy something." They were the first job cuts in the company's 43-year history. With business so slow, Lynch isn't ordering any of the bronze, silver or pewter he uses and isn't replenishing other inventory. 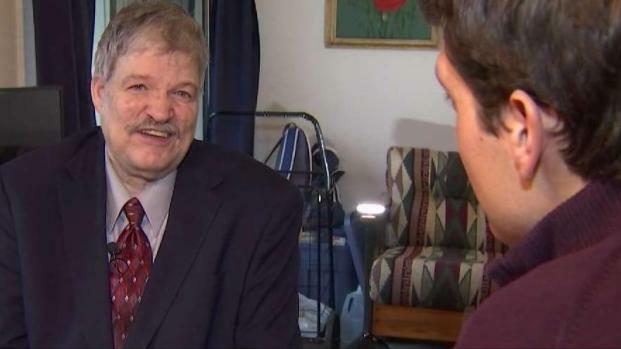 A Northern Virginia man who has worked in the Environmental Protection Agency mail room for nearly 30 years is feeling the pain of the government shutdown. News4's David Culver has the story. Larger companies are also affected, though it is typically easier for them to weather the impact. Airlines like Delta and Southwest, for example, are losing tens of millions of dollars in business, but that's out of billions in revenue. 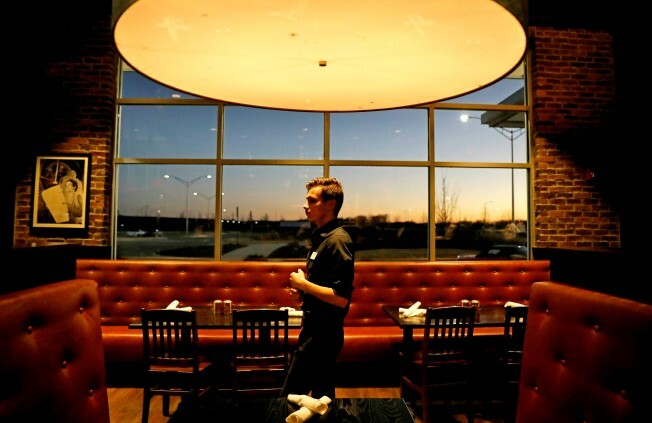 David Moran, director of operations for Clyde's, the restaurant chain in Washington, worries what will happen if the shutdown extends into February, when events like Valentine's Day typically give a boost to business. "My fear is that it is getting worse, because people are getting panicky," he said. Associated Press writers Martin Crutsinger, David Koenig and Haven Daley contributed to this report.